Food delivery startups have grown avidly in past couple of years. However, soon it was seen that many of them had to wind up their operations due to failure in reaping ‘fruitful results’. Almost everyone in restaurant business knows that the market is tough, and it has become more stringent with the integration of new technology features. But still the ‘new born’ herd isn’t much aware of it. This partial knowledge subsequently raised the failure figures in on-demand delivery services. The brick and mortar restaurants are shifting from telephonic orders to online orders drastically. Apart from these the startups getting launched today, are ensuring that they have a gorgeous application with them with the very entrance. But despite their efforts throughout food delivery app development, they fail to sustain in the market for long. According to a report released, in the year 2013 around $46 million were invested in online food ordering system. However, the very next year the figure rose drastically and touched the mark of $600 million. The above statistics undoubtedly came into existence due to the user acceptance online food ordering system received. While till 2011 number of users giving orders through telephone was over a billion and the online orders were close to 500 million only. By the year 2015 online orders almost stood close to telephone orders. Despite these figures why some food delivery startups fail? The primary reason behind the failure of any food delivery startup is its complex rules. The online on-demand delivery service providers are often seen charging comparatively higher prices and they also take more time. This includes, ordering, delivery, cutoffs, large events etc. Due to these the users get irritated and eventually switch to other providers who are delivering better service at affordable price. Many startups at their initial stage focus on getting more orders. This subsequently turns to be a reason behind failing in timely delivery and service. When an individual orders online, this indicates that he/she values time. In short, just focus on the quality features of restaurant app. Thus, upon receiving the order, it becomes your responsibility to stand upto their expectations. If by any chance you fail to fulfil their expectations, you might lose their trust and eventually the customer. Online food ordering system is unique in its own way. Unlike many other tech-dipped industries, the online restaurant business isn’t much dependent on the application or website. 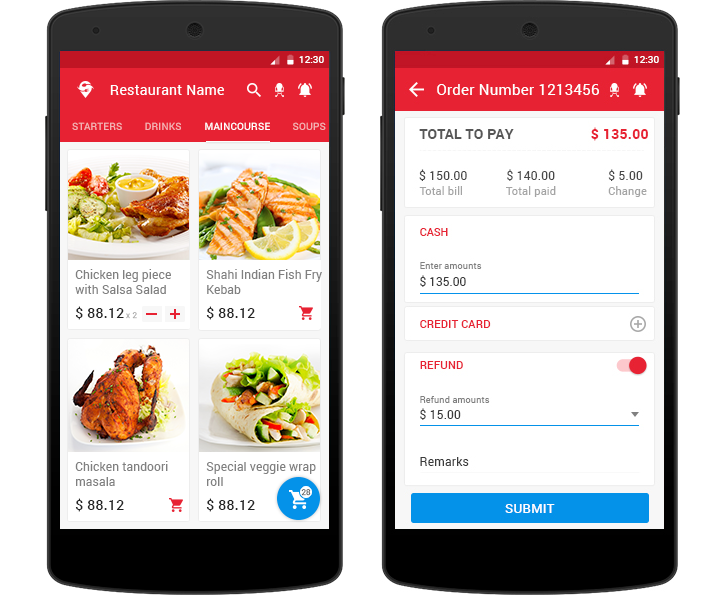 There are just a few things that you need to take care of: online menu, payment, and other details of the kind at the time of food delivery app development. Upon every order you receive, the primary focus should be on those 10 minutes when the food in being cooked by the chef. At the initial stage your primary focus shouldn’t be on getting more customers, instead you should implement strategies to retain the customers you already have. At this stage you cannot afford to lose them by delivering the bad experience. Always remember, that a satisfied customer calls for 10, while an unsatisfied customer can take away much more than that. You are an entrepreneur who decided to take his restaurant online through a food delivery app development. Undoubtedly your target is to earn well with this step. However, while ordering food through on-demand delivery services, customers look ahead to relish the taste at a nominal cost. However, it’s your responsibility to keep your mathematics good enough to avoid future finance related troubles. Food Ordering Platforms (FOPs) are your boulevard to a successful food business. Use them wisely, keep a track on your user feedbacks, and stay active on them. Use good pictures of your restaurant, a smart menu card, and share other vital information linked with your restaurant. You must also interact with users from time to time, so as to give them a personalized experience. Ask your on demand app builder to create an application for your business which delivers better user experience and ease in ordering food online. You don’t have to spend much on looks nor you have to add advanced features to get the user attention. The above mentioned five points should be your key concentrations when you decide to go with a food delivery app development process for your startup.